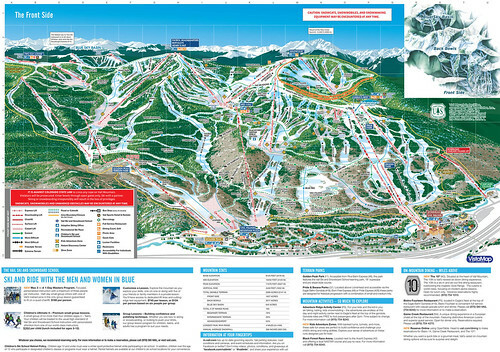 The size of a ski area is typically expressed as number of skiable trails or in total acres. 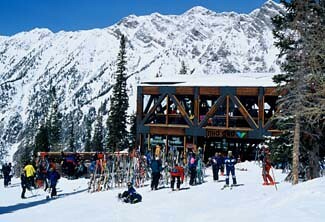 The skiable area is an explicitly defined space which customers rent for use. 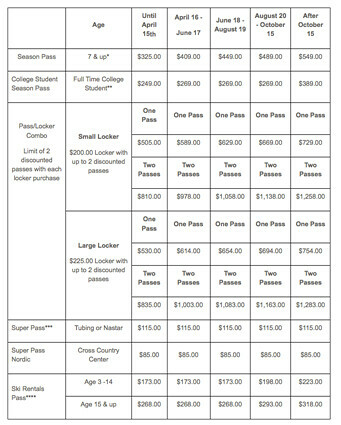 Purchasing a lift ticket or season pass entitles the purchaser to use the space for a specified time, but the space is shared among all patrons utilizing the space at a given time. In order to maintain safety and in some cases to provide the luxury of limiting lift lines, space capacity can be considered fixed. On the other hand, many resorts have difficulty predicting demand due to its corellation with the weather, which can result in long lift lines, and crowded slopes. 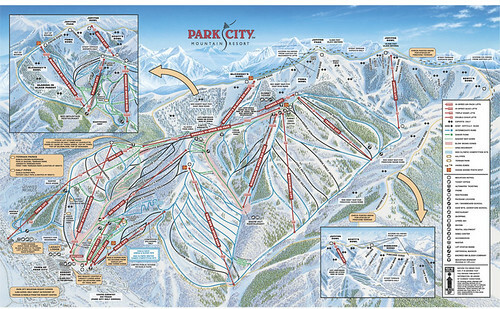 The overall space can be categorized by skiing terrain, ski lifts, maintenance areas, F&B Outlets, retail and equipment shops, lodging, and ticket sales. The Skiing Terrain space at most ski resorts is divided into trails which follow a rating system ranging from beginner to expert terrain, as shown below. The terrain of a ski mountain is mostly determined by the natural slope, along with obstacles and snow conditions. Aside from lift ticket sales, Ski resorts are able to generate substantial revenue through their on-mountain rental programs, F&B outlets, retail stores, and other attractions. Ski resorts sell time explicitly, due to limited hours of lift operation, which is usually during the day, sometimes at night with lights. 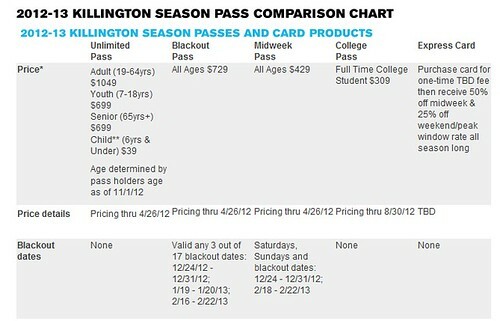 Traditional Season Passes allow for unlimited use of the mountain terrain during operating hours. 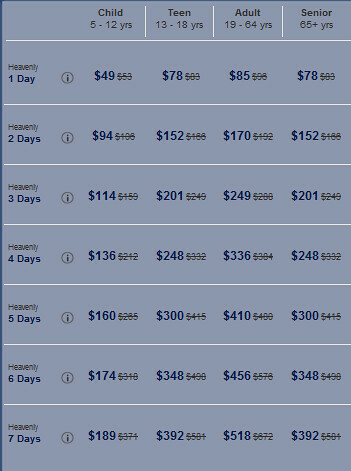 Many resorts are now offering passes that can be used on certain days, or for a specified number of days per season. 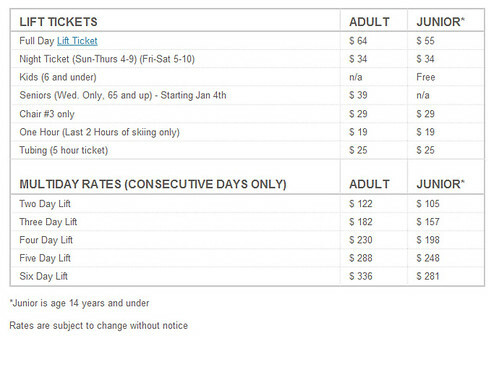 Lift tickets are normally sold for an entire day(8 hour), multiple consecutive days, half day, or hourly. Holiday Valley is an example of a resort that offers flexible lift tickets, meaning that if you buy a half-day (4 hour) pass, the 4 hours begins when you board the first lift. Greek Peak, on the other hand only offers half day passes that begin after 3 PM, which may limit their potential to attract customers during slow off peak week day mornings. In order to increase demand, many resorts also offer reduced rate beginner only lift tickets that are good for a limited number of lifts servicing beginner terrain. A creative approach to the current method of offering beginner only lift tickets would be to offer intermediate or expert only tickets. The big issue with such a division of space would be monitoring and regulating the different types of passes. It also may be less attractive for people within groups, but if the trails had physical barriers there may be an opportunity to increase revenue by offering access to expert terrain only at a reduced rate, which could attract back-country skiers who may be more price sensitive than a family on vacation. The Canyons resort in Park City, Utah offers all of the above listed rate fences and many more, which include teachers, honor role students, local students, police, and firefighters. The lack of physical rate fences is due to the unconstrained space and a lack of barriers to separate areas that could be sold individually. If resorts want to create more physical rate fences, they would need to devote a lot of resources to build barriers and monitor traffic between the different areas. 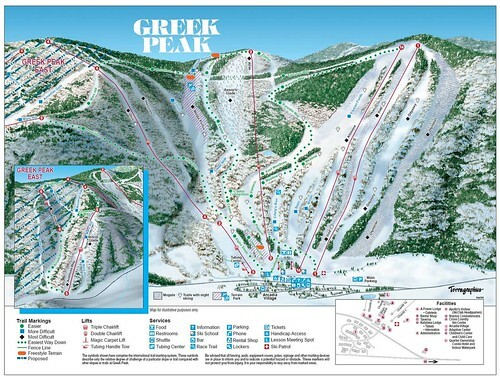 As you can see in the Greek Peak rates above, they offer a discounted daily rate for chair 3 only, due to the fact that it has parking lot access and a variety of trails. 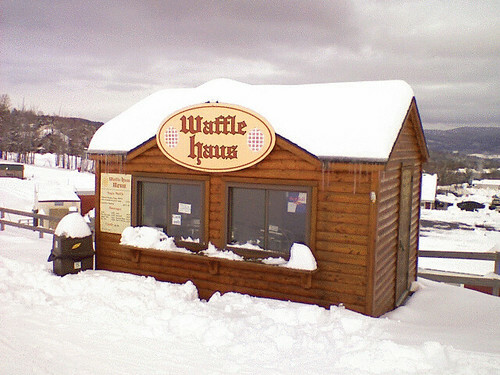 At larger resorts, the use of physical rate fences or a pay-per-use system may be feasible, but I think customers would be weary to be charged every time they want to ski down a trail on a per run basis. It’s also difficult to analyze the value and popularity for each run if such a system were to be implemented, due to limited technology. 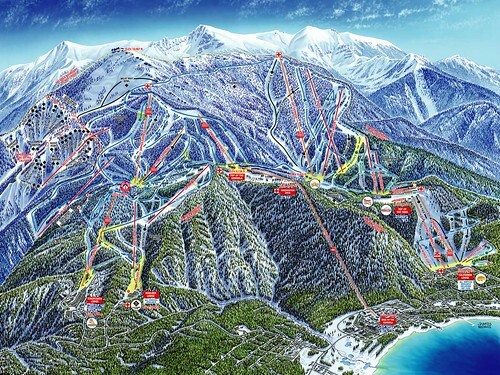 However, many resorts scan passes and tickets at the lift line, which could be further analyzed to determine not only demand by time of day or week, but by location. Cheers for the post, really appreciate your time and effort. 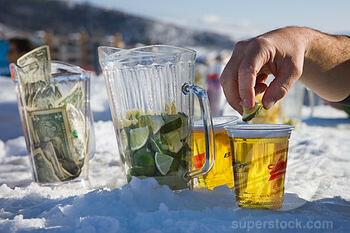 The Ski resort industry is definitely getting stronger on the ground of USA. However, this article is pretty great and extremely information-rich. I’ve recently learned the basic tricks for writing a highlighting marketing essay and I’m sharing this with everyone to let all other students get to know the insights of such writing. EventBH presents an advanced event management software solution to event marketers which easily manages, leads management and attendee management task. Create a memorable trade show, expos and fairs experience for sponsors, exhibitors and attendees with an advanced lead retrieval technology. You can push notifications, messages directly to the qualified leads through leads retrieval technology. Scan leads, make notes for profiles and rate your potential leads through a powerful lead retrieval technology . It is the most cost-effective lead retrieval solution in the market. EventBH Mobile event app provides full flexibility for event organizers to opt-in or opt-out certain functionalities according to ones need.